Looks like you’re in Malaysia! 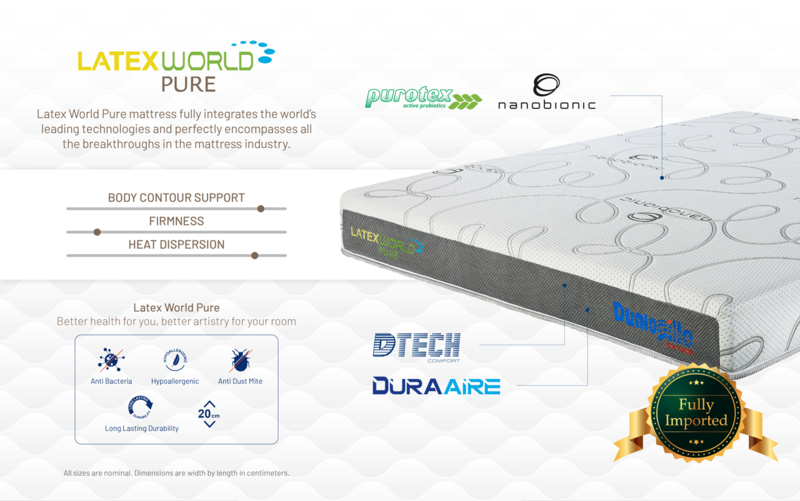 If pure, natural sleep is what you need each night, then Latexworld may be your answer. 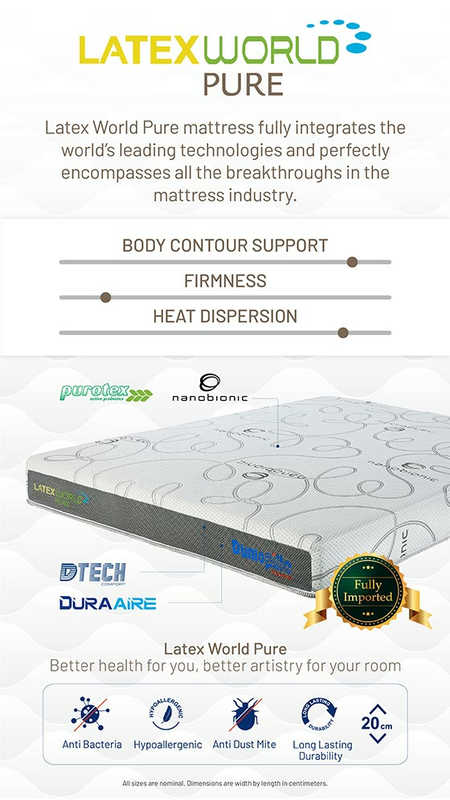 It offers an innovative technology that incorporates probiotic capsules with the ability to ward off bacteria and allergens while prolonging mattress lifespan. 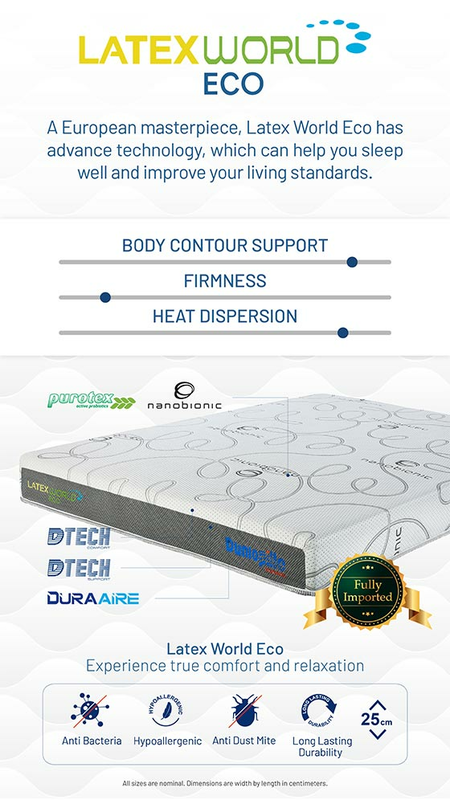 It is also expertly crafted to diffuse heat for better ventilation and provide excellent contour support - the dream combination for an exceptional sleep experience. An advanced fabric that contains probiotic capsules which clean up allergens, repel bacteria and fungal growth, creating the ideal healthy sleep environment. Nanobionic transforms body heat into infrared rays and reflects them back to the body. This in turn soothes and stimulates the body during sleep. An enhanced technology that provides superior ventilation, great contour support and unsurpassed comfort. DTec Comfort is developed as an advanced latex layer that offers brilliant ergo-pressure distribution and exceptional breathability, ensuring plush comfort throughout the night. DTec Support is a superior latex support layer specially developed to provide excellent contour support for improved spine alignment and optimal blood circulation. Proven to have remarkable anti-bacterial ability, this advanced latex optimises mattress hygiene and enhances healthy sleep while offering you total peace of mind. Dunlopillo (Malaysia) Sdn. Bhd. Level 12A, West Wing, Wisma Consplant 2, No 7 Jalan SS 16/1, 47500 Subang Jaya, Selangor D. Ehsan, Malaysia.